Jordan Brand’s upcoming “Back To School” collection pays homage to Russell Westbrook, Carmelo Anthony, and Chris Paul, with three sneakers designed in their high school alma mater’s colors. 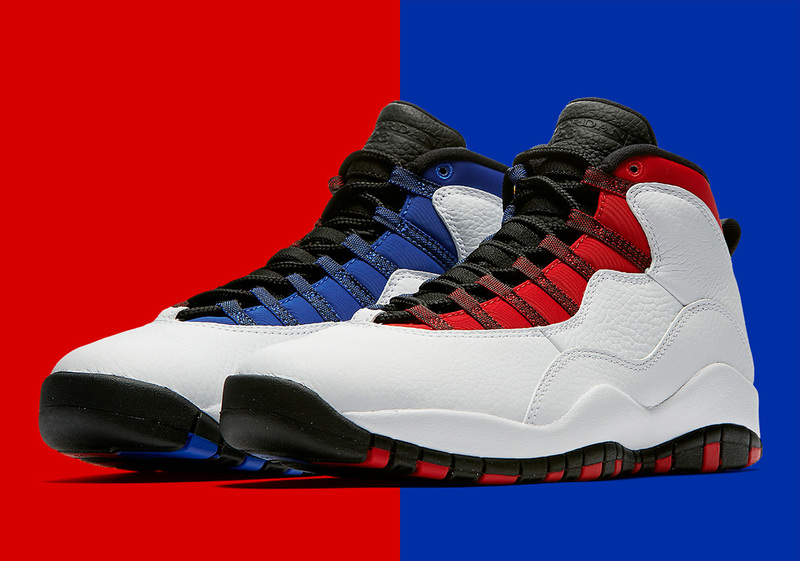 Westbrook has been honored with a Jordan 10 – one of his favorite silhouettes, as evidenced by the “XXX1, 10, and 10” pack he received as a gift after averaging a Triple Double the first time – that comes dressed in a split-down-the-middle red and blue colorway. A slow starter, Brodie did not garner the attention of scouts until his senior year of high school at Leuzinger Olympian, and he didn’t start his first game until the year prior. One thing that separated the MVP from the rest of the pack was his unmatchable motor, which helped him earn the attention of scouts at UCLA, and has aided him in becoming one of the most feared competitors in the NBA today. A class of 2006 hit as well as his signature “RW” logo round out this stylish Jordan 10, while MJ’s long laundry list of accomplishments sits on the outsole in customary fashion to motivate Westbrook and remind consumers of Jordan’s unparalleled greatness. Check out our Where To Buy list below to see where you can go to get your hands on a pair.